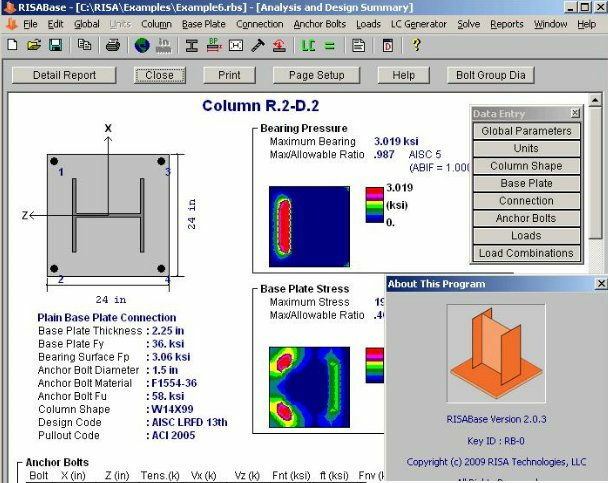 RISABase is a handy application that is designed to help structural engineers to analyze the behavior of complex base plate and anchor bolt models. The program allows you to enter the parameters of the models and to generate a report with the results of the simulation. The program can help you generate a report that can be printed in order to use it in project documentation or presentation. 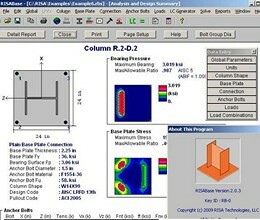 This revolutionary software is the only program that brings the full power of the Finite Element Method to bear on the analysis of base plates. With its incredibly easy interface and advanced computational methods, RISABase is a base plate design tool of unparalleled power. Biaxial loading and design for both shears and moments. * RISABase download link provides demo version of the software. RISABase has been rated 2.3 out of 5 points. A total of 3 votes cast and 0 users reviewed the software.